An efficient balcony system just bolts on. Construction projects require time efficiencies, and property owners always like money efficiencies. We take these key aspects into consideration for the bolt on balcony systems. Our current record for installing bolt on balconies is 24 balconies in 5 hours at the 1st and Washington project. This record installation was possible with perfect coordination, experience, and the bolt on prefabricated balcony system. We like to think every balcony system install can be record breaking. Traditional balconies use a wood cantilever balcony construction method, with a counterbalance of wooden beams built inside floor-ceiling assemblies. This type of wood construction is quite time and material involved. A traditional wooden cantilever method also poses many challenges including fire safety, replacement costs, and unknown load hazards. A bolt on balcony system increases safety for occupants and firefighters, nearly eliminates replacement costs, and greatly reduces install time. 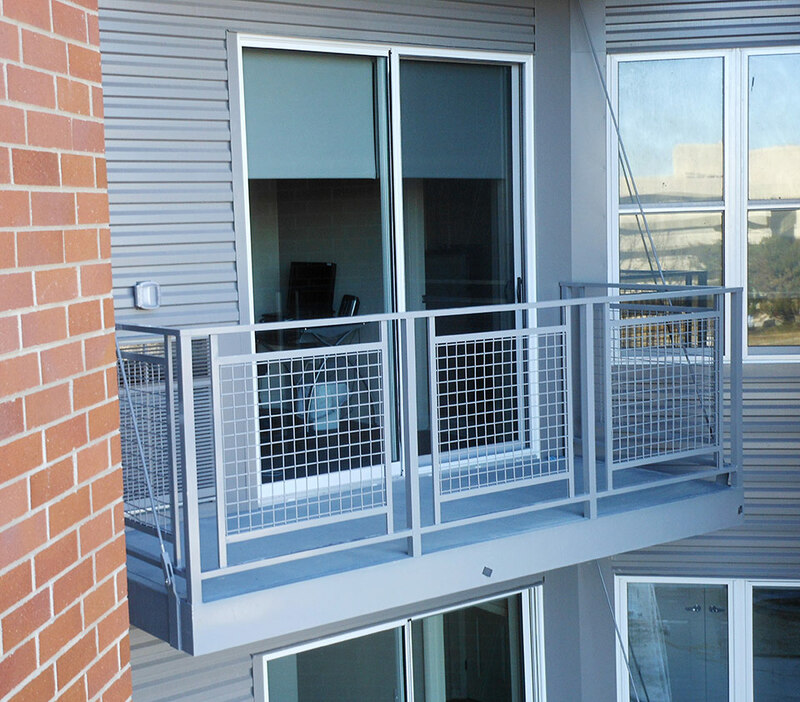 These benefits occur with prefabricated welded aluminum balcony construction that bolts to the outside of the building. Installation of a bolt on balcony is about 30% faster compared to a wood installation. 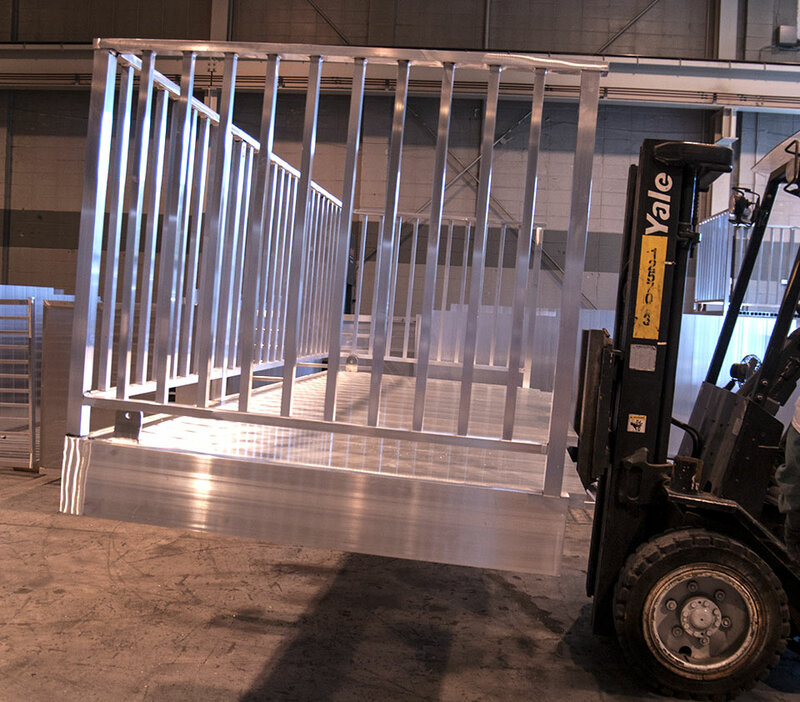 This aluminum system is also about 110% longer lasting than a wood balcony. A bolt on aluminum balcony system is made to last a long time. 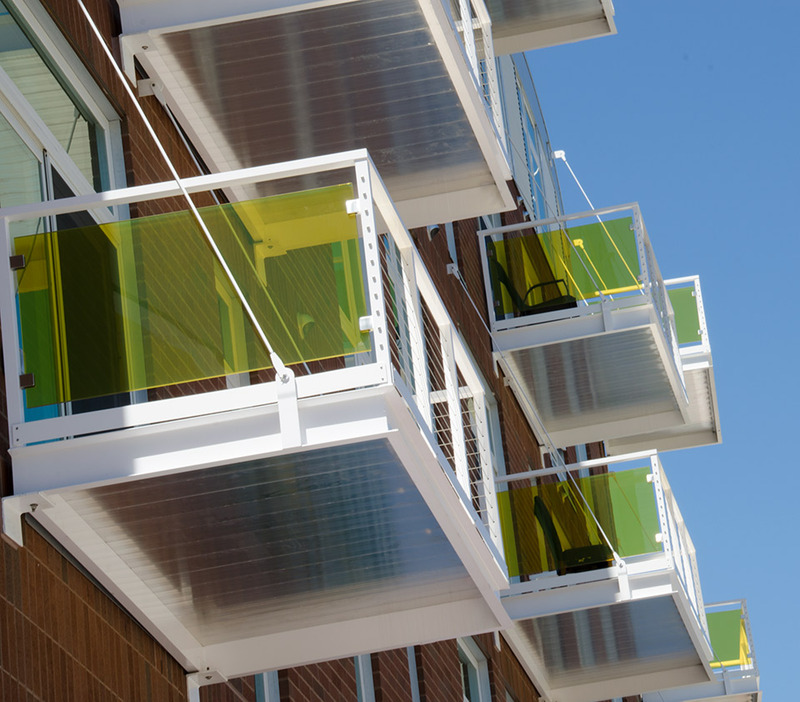 The welded aluminum construction withstands corrosion, which makes it about 110% longer lasting than a wood balcony. Wood fails over time, and usually it fails without visibility, as it can rot from within. Check out the failed balcony story in Berkeley. Typically, to replace a failing wood balcony, you have to remove floor joists or deconstruct and rebuild the entire balcony, which can be a costly maintenance expense. Change out an aluminum bolt on balcony if you don’t like the color, otherwise set it and forget it. To change the color of an aluminum bolt on balcony, you just unbolt, re-powder coat, and re-bolt onto the building. Ask about options to replace a hazardous wood balcony with a bolt on balcony system, since wood balconies fail (sometimes unknowingly) over time. A balcony where all connection points are visible is the ultimate for safety assurance. 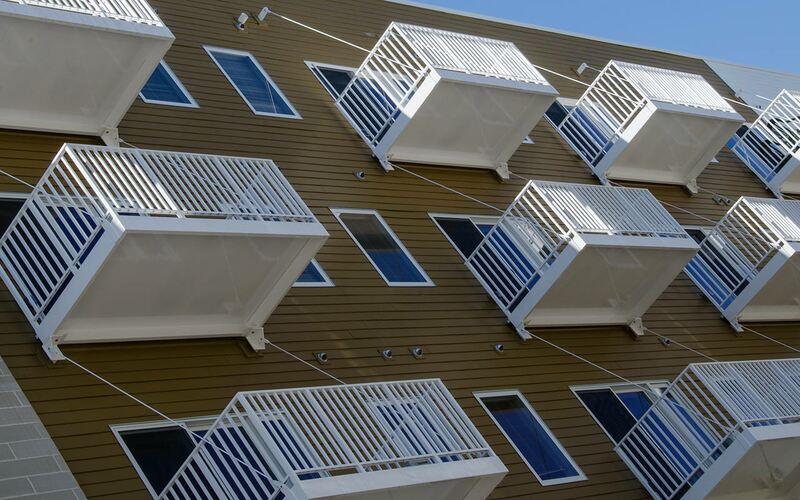 Fire safety is one of the major benefits of aluminum construction versus a traditional wood balcony. 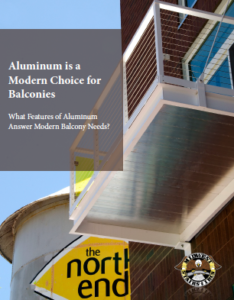 Aluminum is non-combustible, and it’s good strength to weight ratio allows the balcony to hold greater loads. A bolt on system makes all components visible, whereas wood balconies hide wood rotting beneath the surface. Why wait for building codes to update, or a problem to happen when you can be safe now? Unload off the truck, hoist up the building, and bolt on. That’s all you need to do with a prefabricated bolt on balcony system.